Add an industrial accent to your interiors with our artistic copper rocker switch. 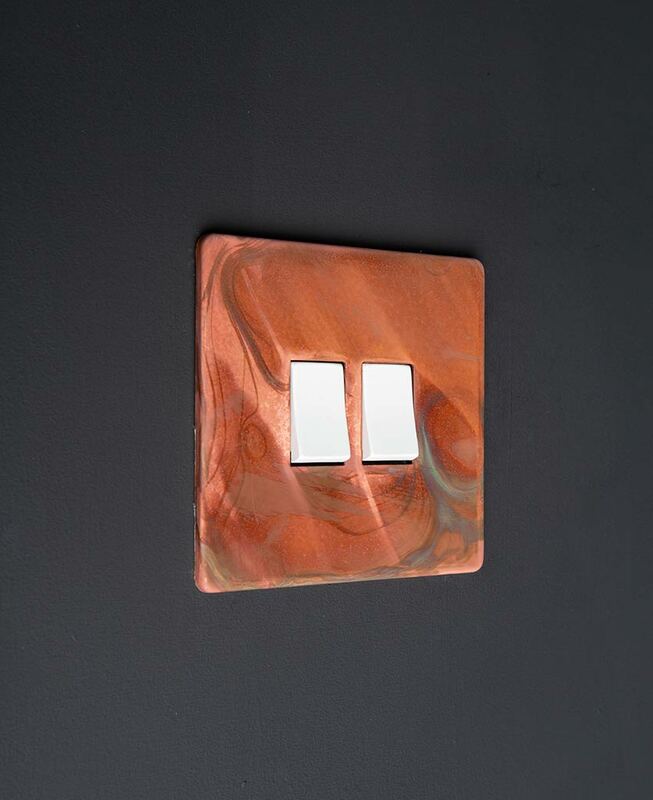 With a fabulously tarnished copper plate and contrasting curved switch detail, it’s a thing of beauty. 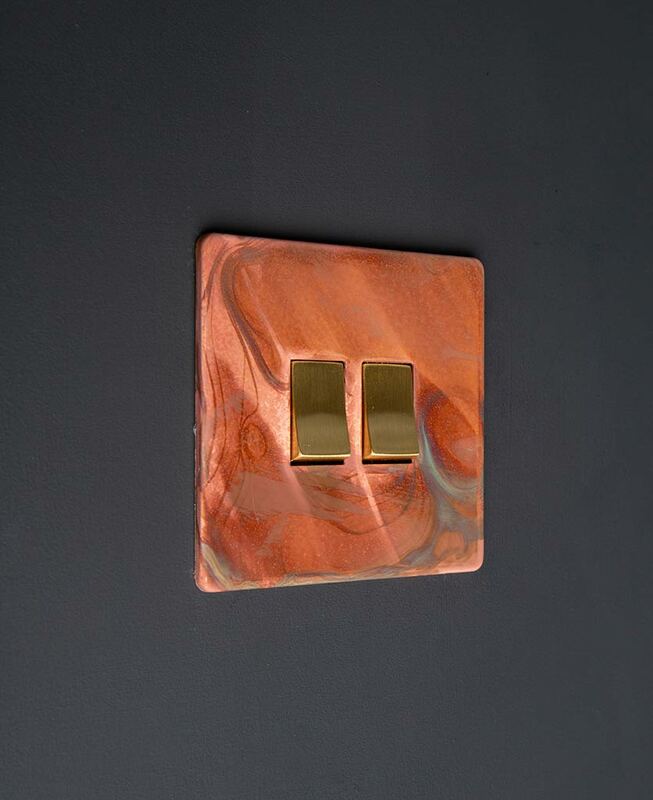 Coordinate with our copper switches & sockets range for a high-end designer vibe. An ultra-chic copper rocker switch is the way to go if you’re wanting to rebel against those clunky white plastic switches. 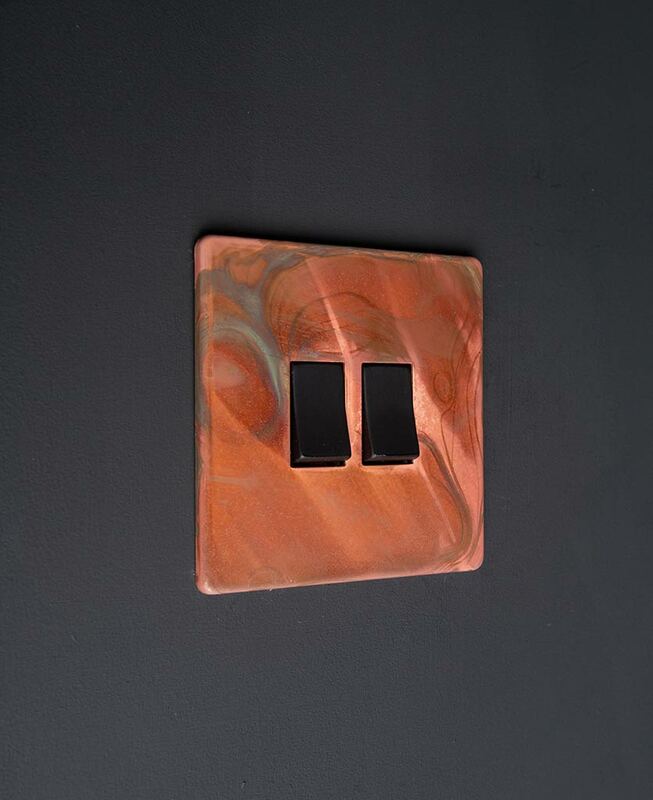 With a gorgeously distressed copper plate and contrasting rocker switch detail, this switch is not one for shying away from the crowds. 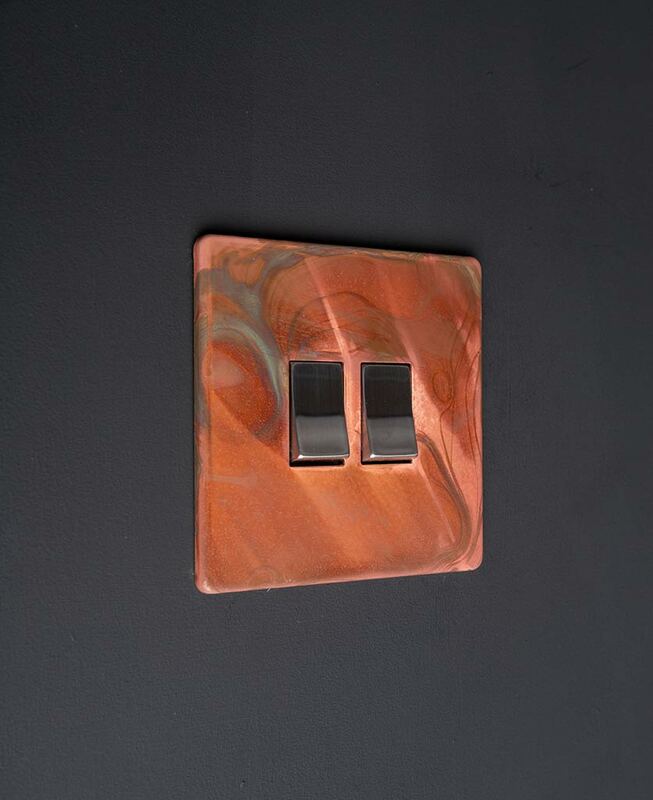 We love the multi-tonal finish of this tarnished copper switch. Each switch is hand-finished and features hues of navy, teal and greys drifting across the surface, it’s a real statement piece. For maximum impact show off against matt white walls to really let the copper stand out. As part of our copper switches and sockets collection, this rocker switch works fabulously when combined with coordinating copper dimmers, toggles and USB sockets. Mix and match across the range to add a designer vibe to your interiors, without breaking the bank.